Discover intense colour vibrancy thanks to the built-in electrifying pigments. 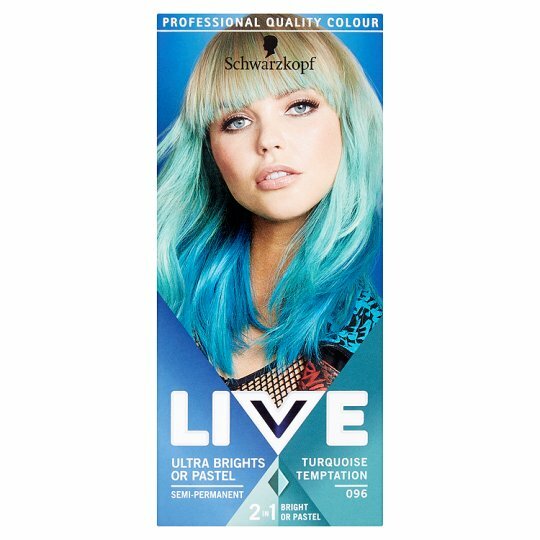 Go pastel by mixing the Colour Cream with the Conditioner included or with Live Pastel It!. SAFETY INSTRUCTIONS: Hair colorants can cause severe allergic reactions. Read and follow instructions. This product is not intended for use on persons under the age of 16. Temporary "black henna" tattoos may increase your risk of allergy. Do not colour your hair if: - you have a rash on your face or sensitive, irritated and damaged scalp, - you have ever experienced any reaction after colouring your hair, - you have experienced a reaction to a temporary "black henna" tattoo in the past. Do not use to dye eyelashes or eyebrows. See bottom of pack for full list of ingredients. Keep out of reach of children.